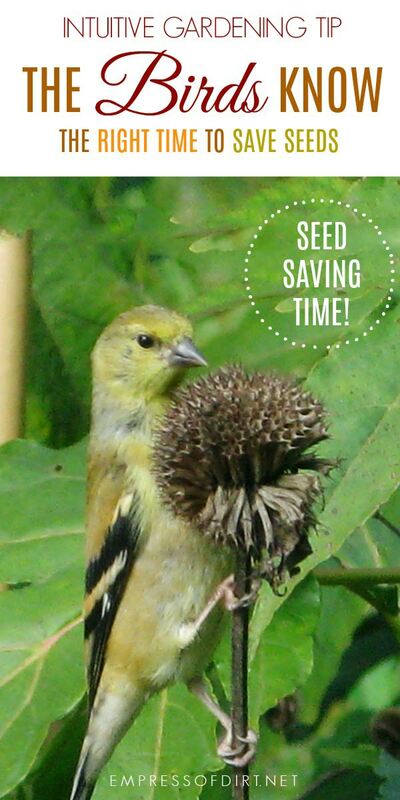 If you are wondering when it’s the right time to save garden seeds for the future, there’s a very hand hint fluttering around the garden. Also, if you interested in natural signs and signal in the garden, you might be a phenologist. 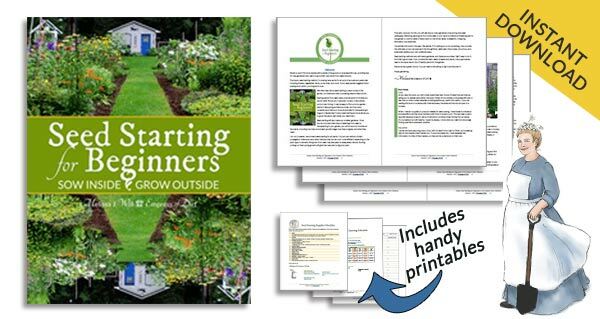 It can be hard to know when flower seeds are ready for saving. Often the flowers look dry and tired but the seeds are actually still quite plump and moist. To keep seeds healthy for future planting, you definitely want them dry. I take my cue from the birds. 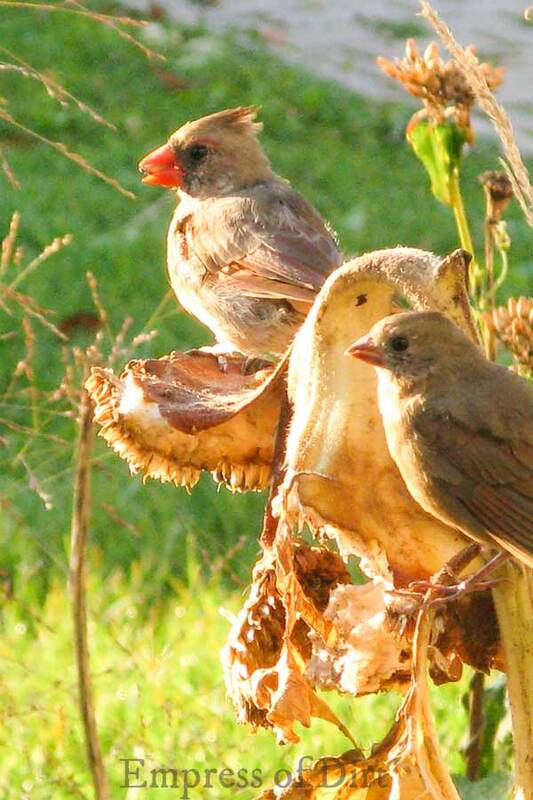 When flower seeds are dry and toasty, the birds cannot resist them. 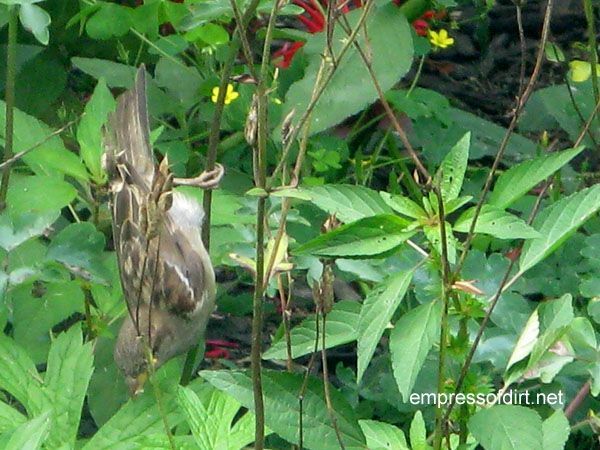 A few weeks ago I noticed the little birds hanging around the columbines. I clipped off some flower heads, and sure enough, the seeds were perfectly dry. Next came the delphiniums. Same thing. The birds know what they’re doing. In the photo above the Goldfinches are dining on the coneflowers. Time to keep some seeds. I hold an open container under the flower head while I cut it off the stem. If they’re really dry, a lot of seeds will fall out during the cutting so have that container ready. Keep the container in a cool dry place for a few weeks to let the seeds dry out further. Thanks, birds! Let me know what’s next. Great post… and proof positive that gardeners should resist the urge to dead-head spent flowers in order to have beautiful gardens. The beauty also lies in sustaining Mother Nature’s beings as well! You’ve reminded me that I must grow some cosmos. So lovely! 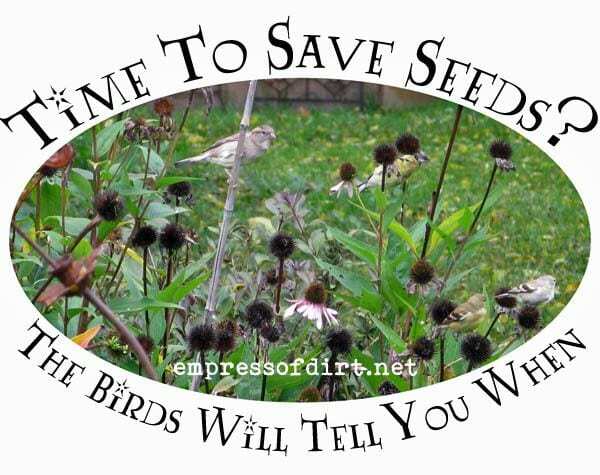 So true– sometimes I get whole flocks that devour the seeds in no time! I also like plants with seed pods like Baptisia, Cleome, and Columbine. I like to shake the Columbine and Cleome pods around my beds to get volunteers popping up at random. Although I guess you wouldn’t call Columbine a pod exactly. Columbine – ya, what the heck are those podlikethingies called?